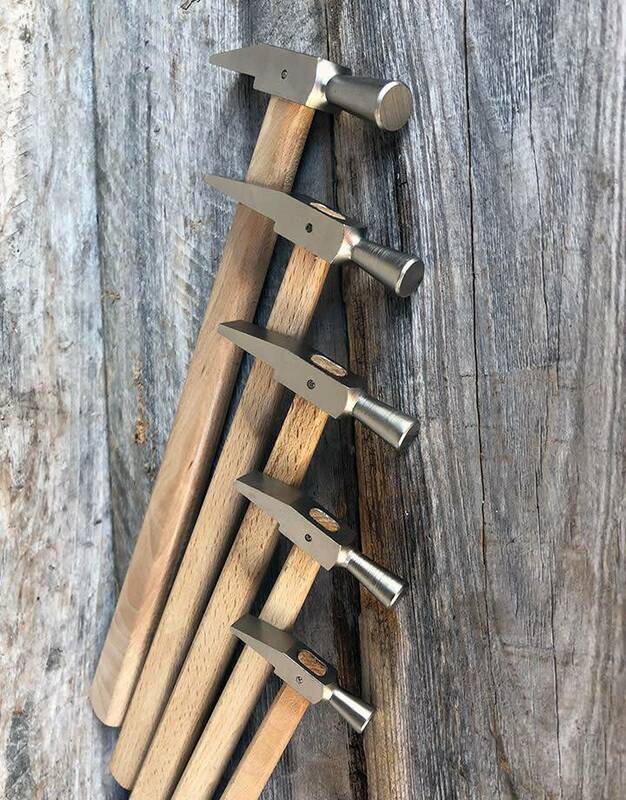 Each sturdy hardwood handle has a high quality forged steel head. 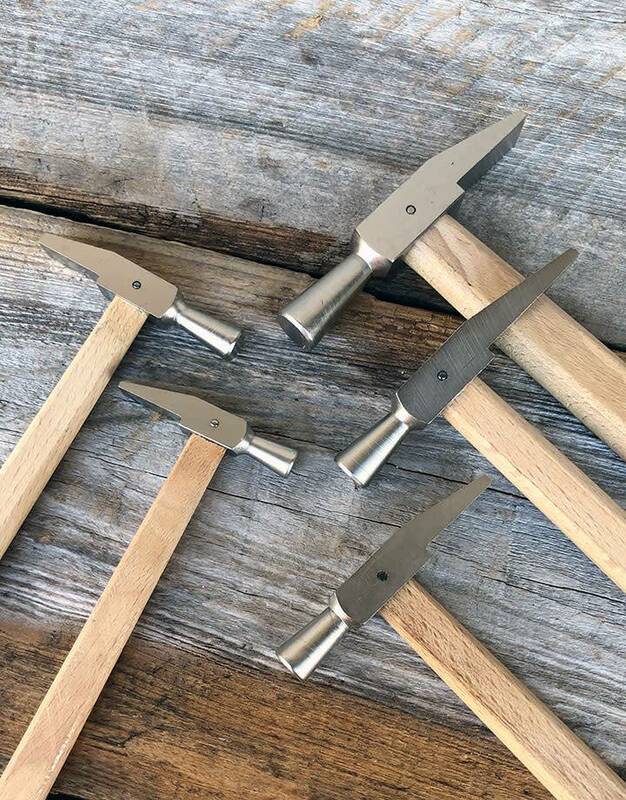 Each steel head has a chisel shape and a flat end. 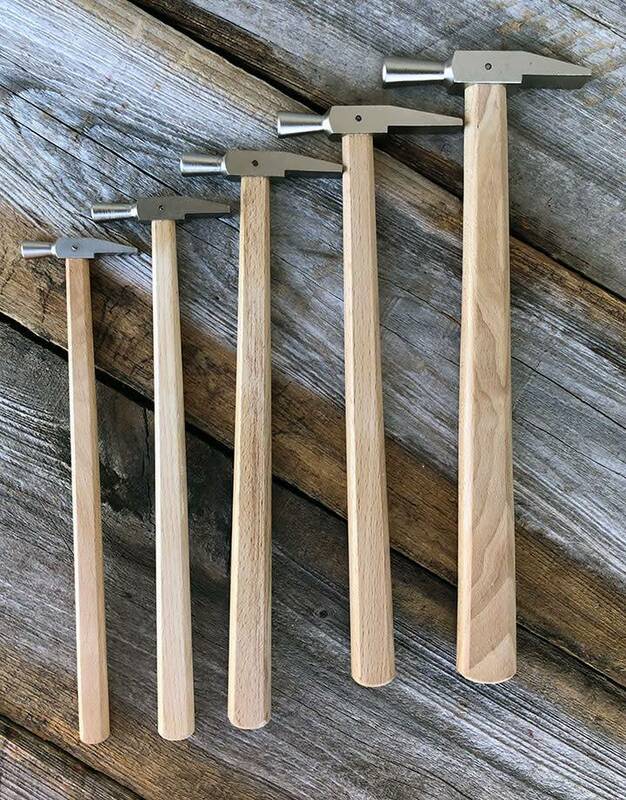 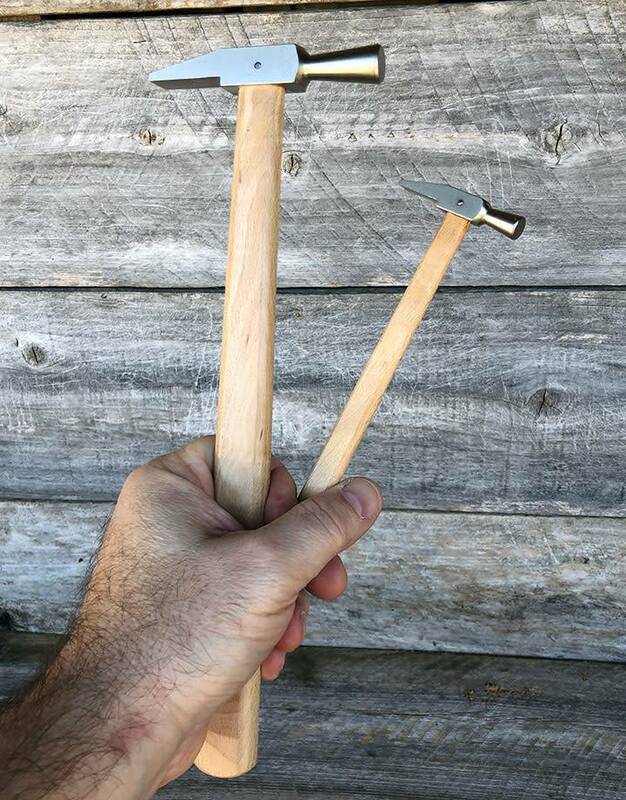 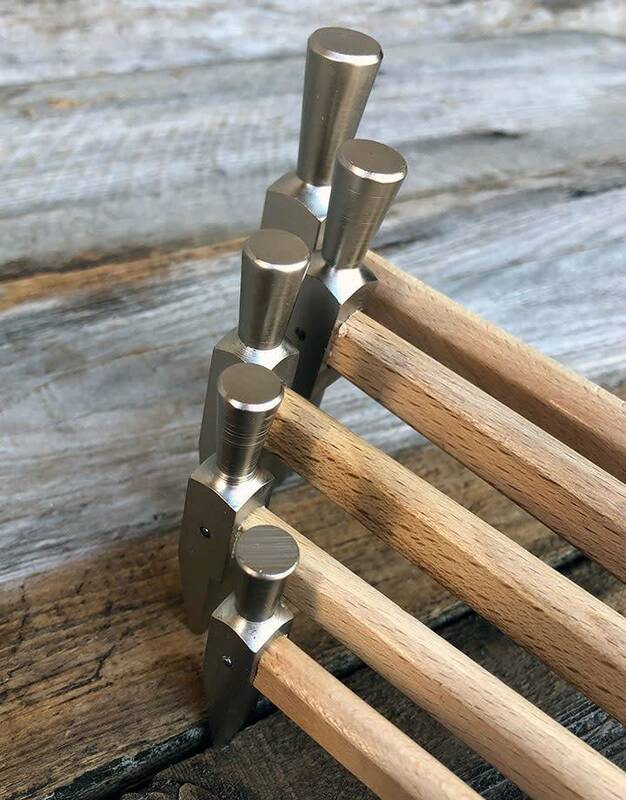 The size variety in head diameters and head lengths makes this set of hammers ideal for light shaping, riveting, and other light precision work.